Many single Soldiers throughout Bavaria have claimed a large number of exemptions on their federal withholding forms causing them to owe a large debt to the IRS for failing to pay taxes during the year. The tax centers in Bavaria have seen a number of single Soldiers that are shocked to find out that they owe a large tax bill to the federal government. The large tax bill is usually caused by single Soldiers claiming a large number of exemptions on their federal withholding forms (IRS Form W-4). While claiming lots of exemptions can result in more money back each paycheck, failing to pay taxes during the year will result in a large tax bill at the end of the tax season and penalties for not making payments during the year. The number of exemptions Soldiers should claim is based on the number of people they are allowed to claim on their taxes. A single Soldier with no dependents should usually only claim one exemption. Soldiers might even choose to claim zero exemptions if they want to receive a larger refund when they file their tax return. Single Soldiers who have claimed an incorrect number of exemptions can change the exemptions claimed by logging into MyPay and clicking on the “federal withholding” link under taxes. There are also payment plan options for Soldiers impacted by this issue, including: paying the amount from savings, applying for an interest free AER loan, applying for a payment plan with the IRS, and talking to a legal assistance attorney about a request for waiver of penalties. While changing the number of exemptions is allowed, many of these Soldiers do not realize the implications this change will have come tax season. 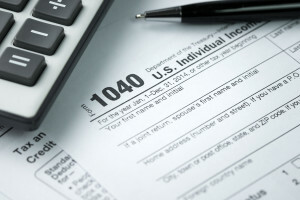 Since many of them owe over $1,000 in taxes to the federal government, they are also subject to additional penalties for failing to make periodic payments during the tax year. Soldiers are encouraged to visit their local tax center or legal assistance office if they have questions about income tax exemptions.